Guess IPv4 exhaustion date here. Service Engineer - Ericsson Services Inc.
Configure Cisco Provider Edge routers and perform fault isolation and problem restoration in support of service delivery of all of MPLS, Dedicated Internet Access, and DSL technologies. Configures, implements, and troubleshoot logical and network layers of customers' dedicated circuits ranging from 56K to OCn bandwidths. 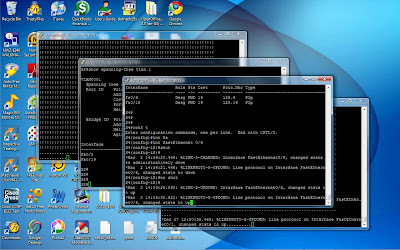 Configures and troubleshoot routing protocols including Static routing, BGP, EIGRP, and OSPF, and for value add services such as class of service (COS), multipath, and multicast on Cisco routers via GUI and Command Line Interface (CLI). Answer incoming customer calls and provide technical assistance to activate service. Provide technical assistance during coordinated customer maintenance window to upgrade, downgrade, or implement complex routing changes. A minimum of two years experience in configuring and troubleshooting of IP and MPLS technologies while working directly with customers in a network operations center environment. Must be willing to work day, evening, or midnight shift. Standby oncall is required. Four year degree from accredited university in the field of Telecommunications or Electrical Engineering. Current Cisco Certification (minimum CCNA). Demonstrated knowledge of various layer 2 and layer 3 theories and concepts. Experience with network management configurations and fault isolation tools. Applied knowledge of routers, bridges, concentrators and switches. Experience using general Microsoft Office applications in order to perform work assignments. **Must be able to show proof of US citizenship or US permanent residency. Objective: To obtain a position working with a team of motivated Cisco Route/Switch CCNP's who are agressively pursuing their Cisco Route/Switch CCIE while working closely with and having daily interface and interaction with current Cisco Route/Switch CCIE's who act as team leads and mentors. Network is 100% Cisco network. Interviewer must hold current Cisco Route/Switch CCIE. How is the CCDE Coming Along? Where does this put the CCDE? Is it on course for future growth? Or will it wither taking along with it the Cisco Certified Architect which requires the CCDE? Had been keeping two study logs. One offline and one online. Now I am going to stop the online study log and only use the offline study log to avoid double logging effort. Google has quietly turned on IPv6 support for its YouTube video streaming Web site, sending a spike of IPv6 traffic across the Internet that has continued from last Thursday until Monday. It's almost like those too-familiar infomercials that get so popular around New Year's - time to get rid of the fat and add some muscle. Cisco's done the same to CCNP with today's announcement of CCNP changes. Cisco starts by removing roughly half the topic breadth from the old CCNP: most every topic from ONT and ISCW is gone. Cisco then adds back a Troubleshooting exam that focuses on routing and switching with a few other topics. Today I'll begin an examination of this revised cert, with lots of links, some impressions, and a promise to more time in the coming weeks drilling down on the new exams. Cisco has made it official - the CCNP track will be changing later this year, and you have over *six months* to take the current exams! You can take the BSCI, BCMSN, ONT, and ISCW exams all the way up to July 31, 2010 - and the current BSCI and BCMSN exams count on the new track! Therefore, it's vital for you to get those first two exams done before the deadline - and it's certainly more than possible for my Bulldogs out there to get all four done in the next six months! 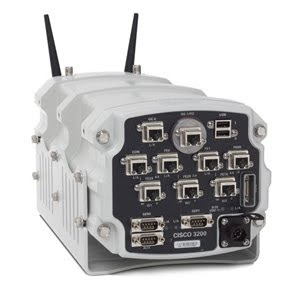 The Cisco 3270 Rugged ISR is a high-performance, ruggedized router designed to support multiple applications running concurrently over wired or wireless networks. With onboard hardware encryption, the Cisco 3270 offloads encryption processing from the router to provide highly secure yet scalable video, voice, and data services for mobile and embedded outdoor networks. Do you need two routers to practice routing commands for CCNA? Or do you really need 3 - or even 4? Likewise for CCNP, or one of the CCNA concentrations? And what topology do you need to use - which determines what interfaces to buy - so that you can test every function of every config option for that exam, and see the nuances that you might miss in a different topology? And what are those nuances in the first place? And what lab exercises should I use to learn all this? Well, you asked for it, and I liked the idea, so I'll blog it: some lab exercises that at the same time give us a backdrop to discuss lab topologies. Nine hundred Cisco access points are allowing Royal Caribbean Cruise Lines to navigate the tricky waters of wireless at sea. As colleague Tim Greene reports, the world's longest cruise ship presented plenty of churning tides for a network encased in the steel hull of the vessel. My name is Martin Voelk (CCIE # 13708) and I am the founder of a CCIE Consulting Service called CCIE Hotline. We attract more and more business and are looking for CCIEs (only fully certified and active ones) - not just written. Any CVs from CCIEs worldwide are welcome. If you speak any other language than English - even better! Pennsylvania's #1 resource for network computing needs! We provide on-site network design and implementation services in Philadelphia Pennsylvania and surrounding communities like Chester County, Lancaster County and Montgomery County Pennsylvania! We provide in-house design services nationwide. 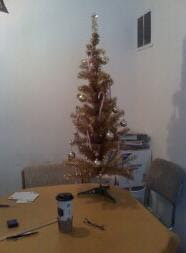 Co-worker Pete Welcher recently helped a customer whose network experienced a spanning tree loop (i.e. a melt-down). Several things can be learned from thinking about the experience and how to avoid it. Looking to install VSS ? 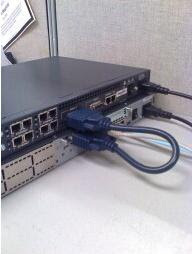 Well, recently I had the opportunity to install VSS in a customer’s Data Center as part of a complete network migration from an old Nortel Switch network to a new Cisco network using primarily Catalyst 6509 switches with Sup 720 – 10 G Supervisors. In 2009, Level 3 pulled away from largely stagnant Sprint, opening up a roughly 12% lead. In the spring of 2009, Level 3 gained nLayer (AS 4436) as a customer, which Renesys ranks as #12 in the US, thereby giving Level 3 a substantial boost in score. See latest Service Engineer job description as posted at ericsson.net here. See previous Network Engineering Specialist job description here. See previous Physical Layer broadband circuit test and turn up job description here. I am seeking employment opportunities in the field of Cisco network engineering. My career objective is to continue to study for Cisco certifications while working on production Cisco networks on the job. I obtained the CCNP certification on July 24, 2011. Since September 2008 I have been working as a Network Engineer for Sprint in Reston, Virginia. A description of my current job can be seen here. For the ten years prior to that I was working for Sprint in the Broadband Access Delivery circuit test and turn up group in Atlanta, Georgia. There I performed physical layer testing on circuits ranging from DS3 to OC768. Mostly SONET transport network, some DWDM. Extensive use of T1 testing, narrow-band DACS, wideband DACS and broadband DACS. React test set. Loopback and acceptance testing with LECs. Around October 2007 I started getting interested in Cisco certifications and the Cisco certification career path. I began to attend the Atlanta Cisco Study Group meetings in Atlanta, Georgia. A couple of Cisco router engineers from Reston, Virginia came to Atlanta to provide some IP Activations training and I was fortunate to be able to attend those classes for 3 weeks. Shortly thereafter, in August of 2008 I took an opportunity to work with the IP Network Activations team in Reston, Virginia near Washington, DC. I have been working as an IP Network Activations engineer with Sprint/Nextel/Ericsson at the Reston, Virginia NOC since that time. Here in Reston I am a member of the Cisco Mid-Atlantic User Group and Cisco IP Telephony User Group. If you are an employer who's business revolves around Cisco IP routing and switching networks then I would be interested in talking with you. I am interested in all of the Cisco tracks and would be willing to study whichever track is needed. Company paid training and company assisted training programs, along with the opportunity to work on cutting edge technologies with senior level Cisco Network Engineers and CCIE's, are my highest priorities. What I bring to the table has been noted above along with an above average focus and propensity to study and learn Cisco routing and switching technologies. Organizations need an ASN to run BGP and route on the Internet. They are each assigned globally unique ASN(s) by their local Regional Internet Registry (RIR), who get them from IANA. A few weeks ago, the NANOG folks noticed that AS1712 had been registered by two different organizations (in France and Texas) that were both using the number to announce their separate network prefixes. ARIN issued a statement conveying that they were aware of the problem and were working to resolve it. We took a look at the data and found that AS1712 isn't the only dually-assigned ASN out there. In fact, even a root server didn't escape unscathed. Subject: Welcome to the CIPTUG LinkedIn Group! The Cisco IP Telecommunications Users Group (CIPTUG) is an independent, nonprofit association addressing the needs of Cisco Unified Communications users around the globe. Through online programs, educational webcasts, interactive forums, local chapter meetings, and our annual conference, we provide collaborative and educational opportunities where members exchange information, experiences, and best practices; influence Cisco and Cisco partners' product enhancements and directions; enhance their product knowledge and technical expertise; and network with other users, Cisco, and Cisco partners. Learn more www.ciptug.org. I have my home practice lab set up here on my desk at work. One 2600 router on the bottom. One 2500 router sitting on the top. One dte/dce serial interface cable. Also have a USB Ethernet NIC plug adapter and am able to connect these two routers to my GNS3 dynamips routers. I took and passed the ISCW test today. I was super-nervous going into it, which is weird for me, but I finally calmed down after the first few questions. Here’s my take. I don’t want to get into any trouble so I’m not going to include very much detail. This blog post will explain you all the differences in EtherChanneling that you can get. It’s known that you can get any type of wicked configuration on the R&S lab, especially since there are 4 switches, which are probably fully meshed with multiple links. It's been years since IP slowly but surely began infiltrating into mainstream carrier networks. In 2010 it's poised to make its biggest impact ever. Now the same problem is back on my 2500. I think this router is dying on me. Now my 2600 router comes up in rommon 1> mode. Wonder what's up with that. I have a Cisco 2500 router and I can't get it to boot up. It was working fine and now all of a sudden it won't boot up. I saw it go in to rommon> mode and then I just rebooted it and now it gets stuck on boot up. I tried to hit ctrl-break to get into rommon mode within 60 seconds of powering down and back on. It gets the > prompt but no response from any keys at that prompt. Anybody have any ideas. I think the router is shot and is now hazerdous waste. I think this is the message that might have a clue in it. %SYS-4-CONFIG_NEWER: Configurations from version 11.2 may not be correctly understood. This is what it looks like if I don't hit ctrl-break to try to get in to rommon mode. It's gets this far but no farther. It gets stuck right here. Also posted at PacketLife community lab forum here. Update: Now it's working. Never mind.